Apparently adults can enjoy Lego too. Phew, that’s a relief! 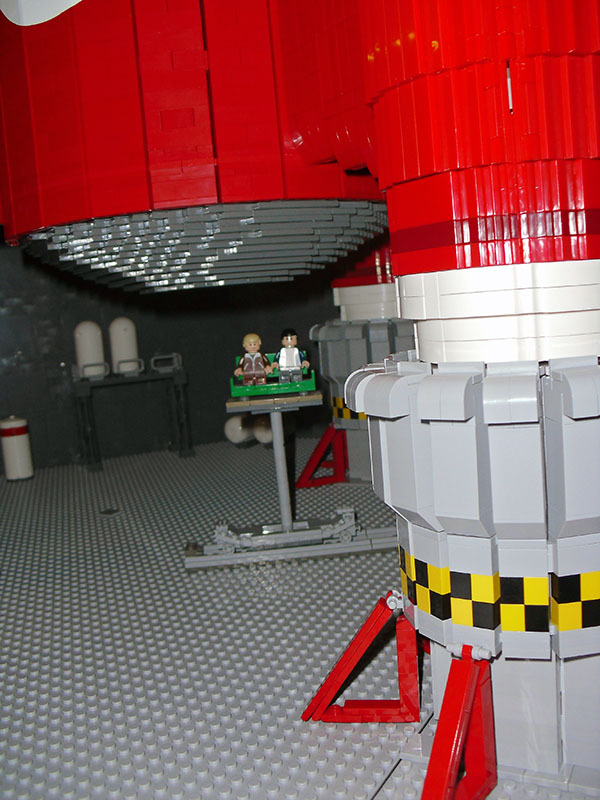 Evidence is in from my son’s birthday trip to the National Space Centre at Leicester, which featured a weekend special of demonstrations and exhibits from The Brickish Association. That’s me shrunk to mini-figure size and going into Thunderbird 3. The space centre is well worth a day out, especially as you can convert your tickets to annual passes for free. We especially enjoyed our excursion in a Mercury capsule and selecting the right level of thrust to get Yuri Gagarin into space in the water rockets. This was a mosaic built up in sections by visitors filling in one Lego baseplate at a time. You had to look twice sometimes to work out what was Lego and what was ‘real’. 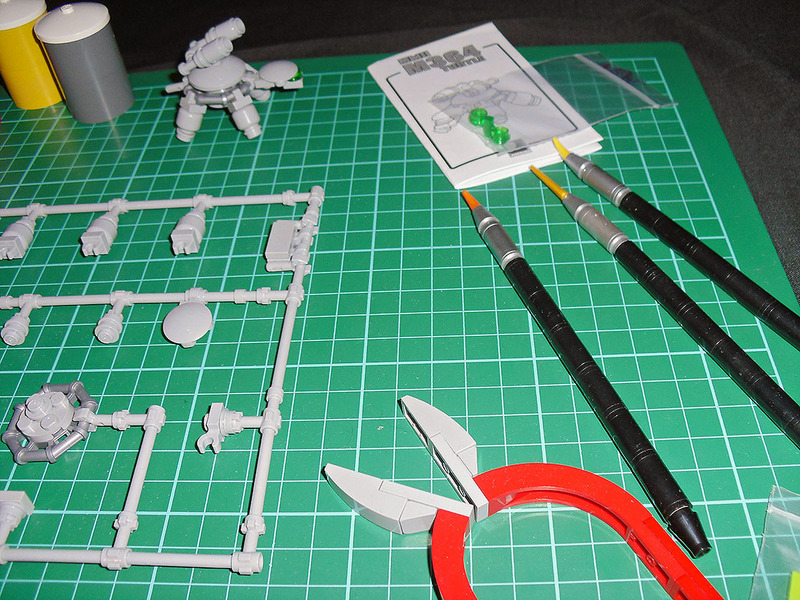 Highlight for me was this plastic model kit. Of course, it was all Lego. 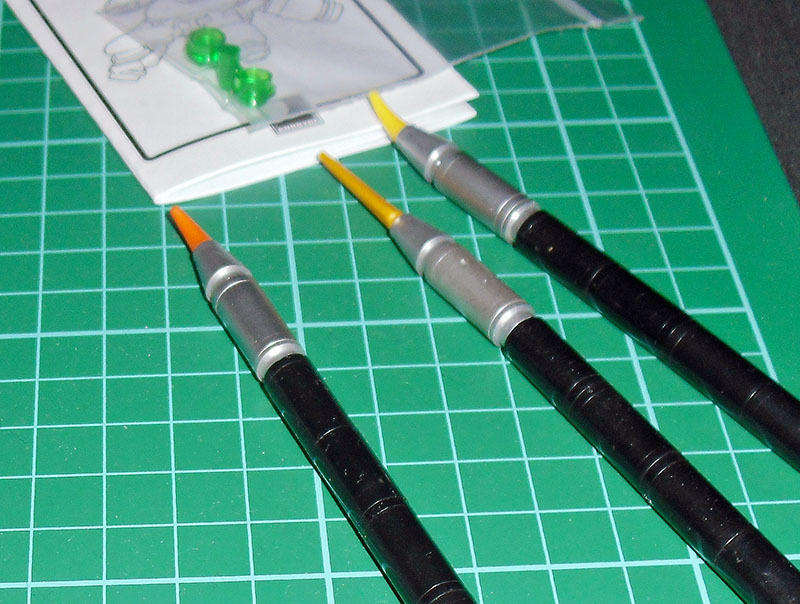 Even the modelling knife and the paint brushes were all Lego. Even the paint brushes are Lego. 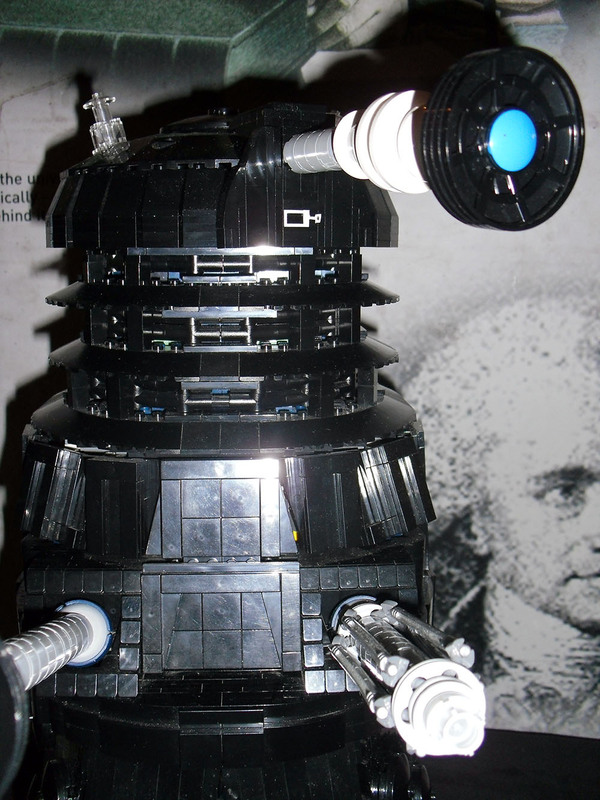 Our thanks to the member of the Brickish Association for sharing their many wonder with us, and being honest about how difficult the dusting can be for exhibits that spend most of their lives on display around the house. 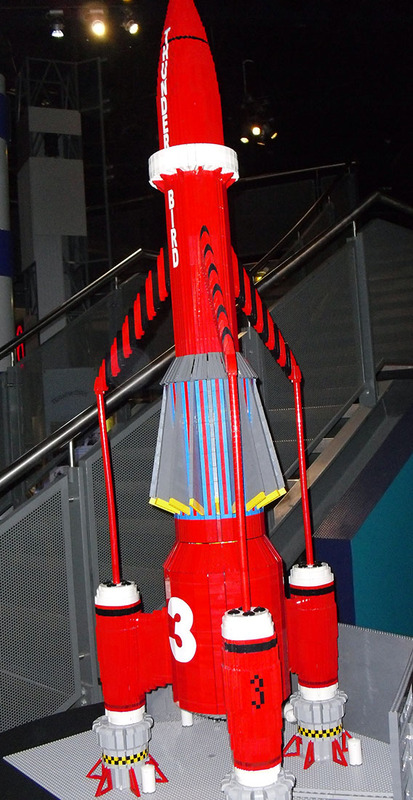 This entry was posted in Comments and tagged family fun, lego, Leicester, National Space Centre. Bookmark the permalink.